The future is here, now. Tactile, evolved, connected. A new smart dimension. Tap, command, control. 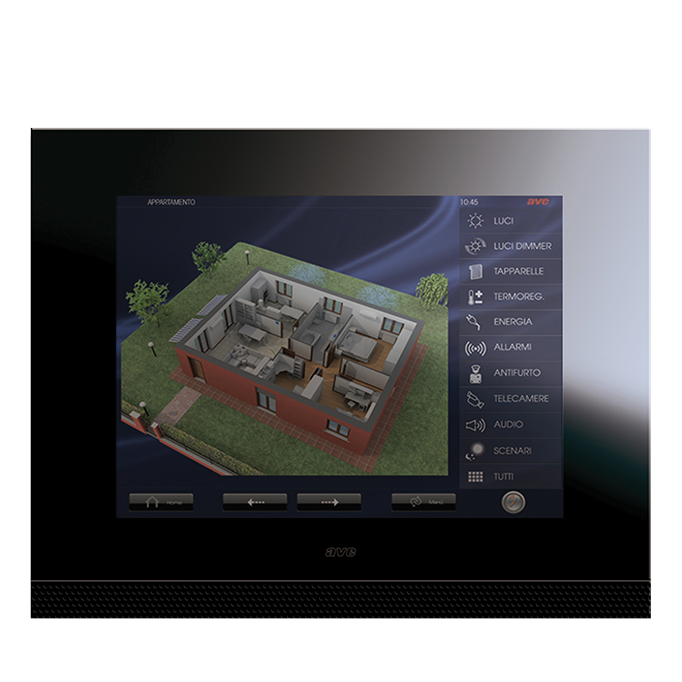 Enhance your lifestyle with the innovative home automation touch screens DOMINA plus! These devices have been designed to offer you a new contact with your home, with lots of design and functionality for all kinds of use. 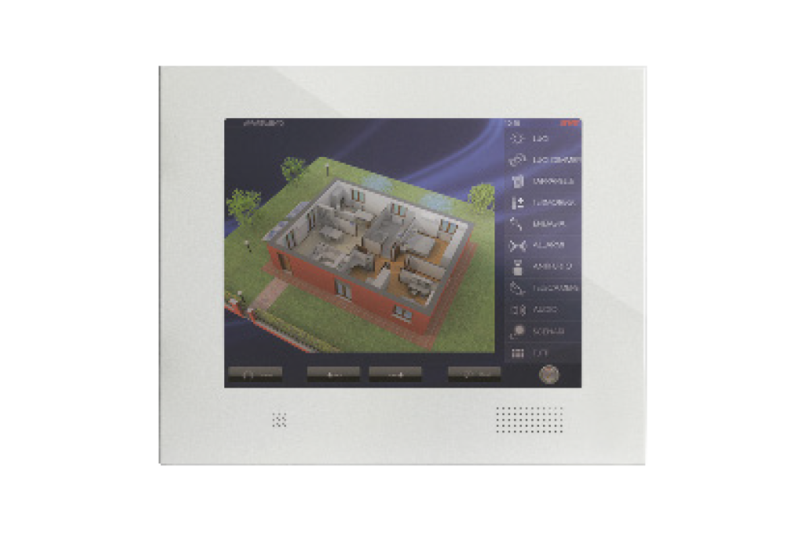 The DOMINA plus 15″ Touch Screen represents the last frontier of home automation. 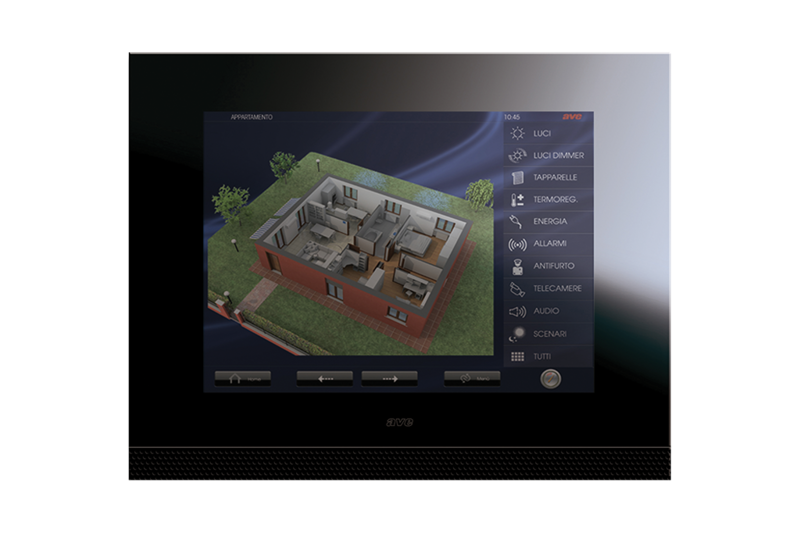 This device allows a “navigation” of the rooms, displaying the entire floor plan or the individual rooms. 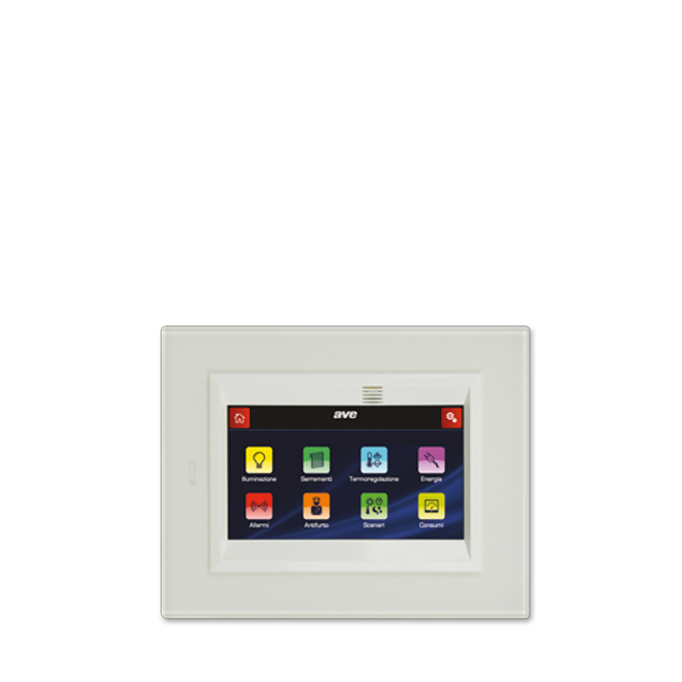 A distinguishing feature is the elegant and wide display with black mirror glass front plate. Surely, the best solution to equip your home with an advanced and prestigious management centre. 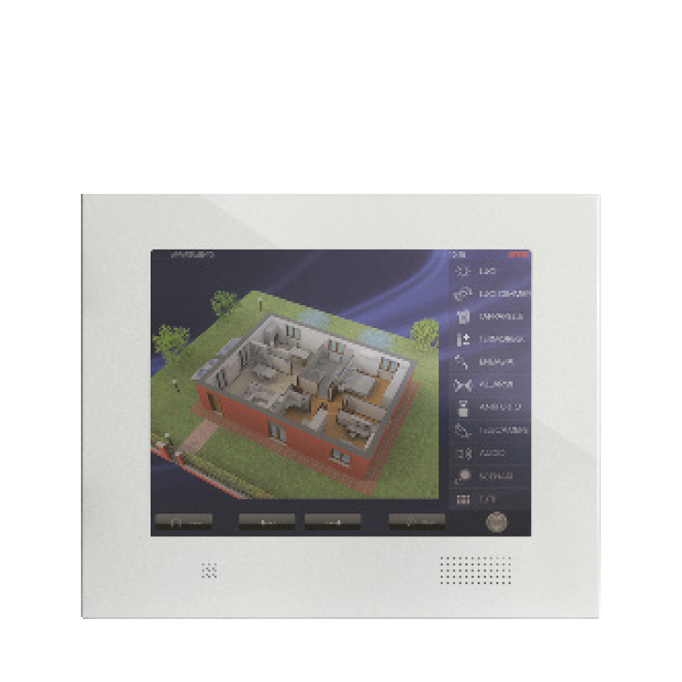 Available with front plate in white moulded, in natural, anthracite or black aluminium, the DOMINA plus 12.1″ Touch Screen supervisor device allows you to dress any room with a material and technological elegance. 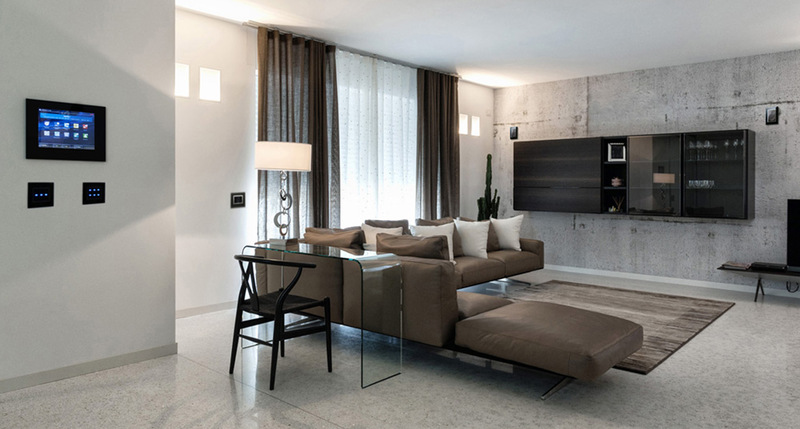 This device allows the “navigation” of the home, both for the whole floor plan and for the individual rooms. 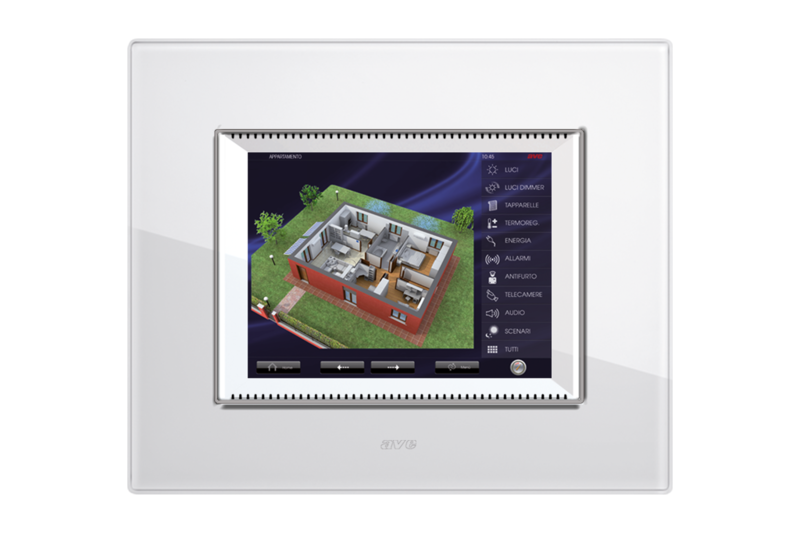 The DOMINA plus 5.7” Touch Screen is available with clear white or black glass front plate, or in metal version with natural or anthracite aluminium plates. 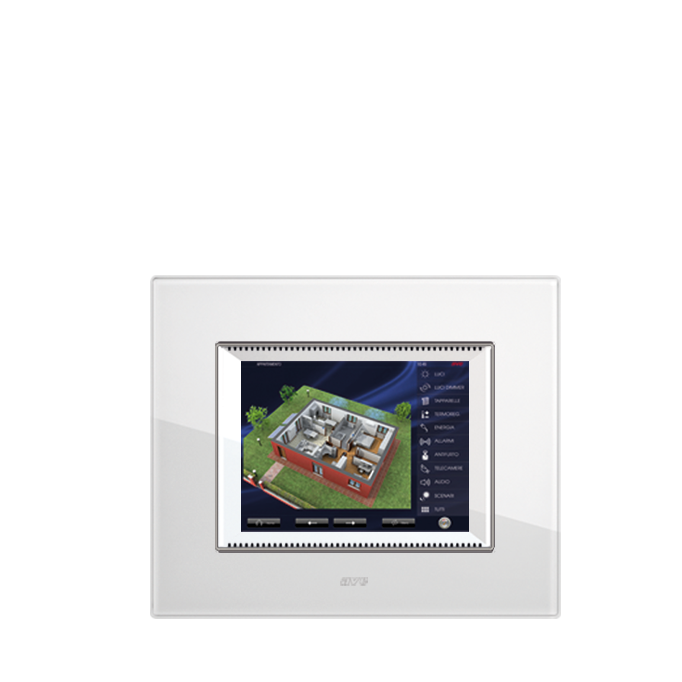 Thanks to its small size, this supervisor is ideal for accessory environments, such as corridors and hallways, or to create a control centre in the bedroom offering navigation through photographic rooms’ maps. 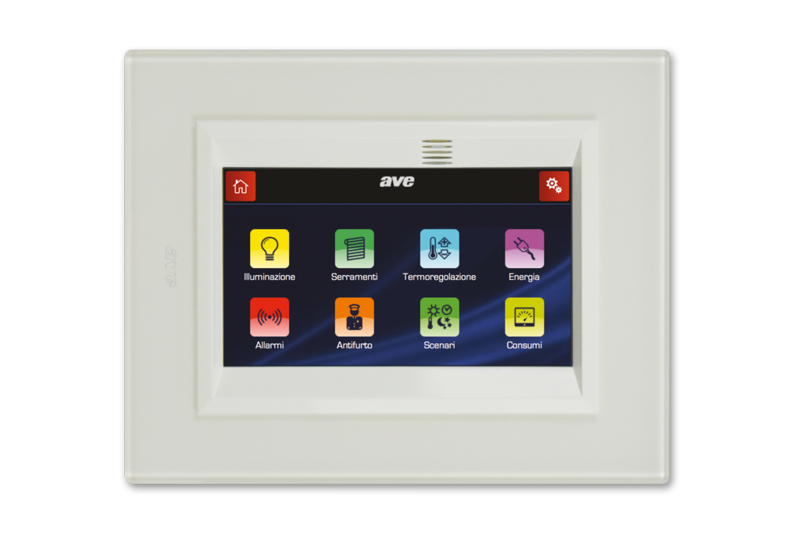 The latest AVE proposal is the 4.3” mini Touch Screen. Its minimum size is a added value to installation opportunities. 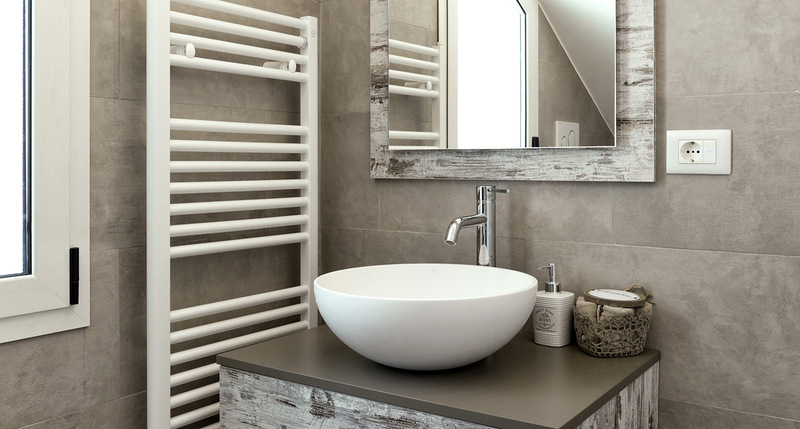 It can be oriented to work horizontally or vertically, with ample possibilities for customization through glass, metal and moulded front plates. 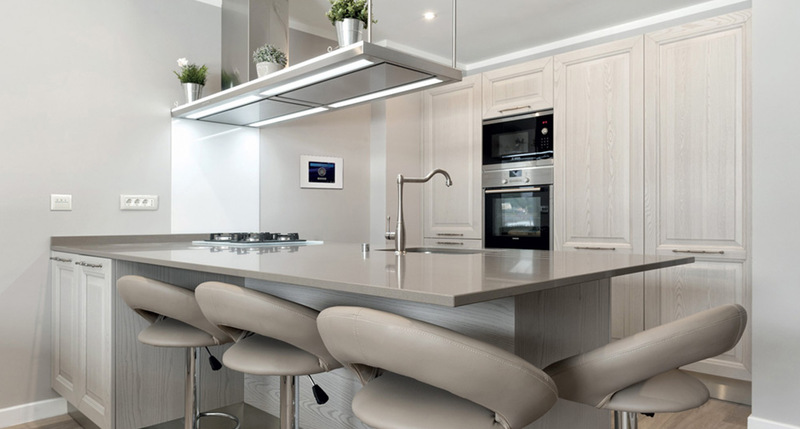 Its competitive price allows everyone to experience the comfort of home automation. Moreover, thanks to an external probe, it can act as a home automation chrono-thermostat.